Berri Native Plants is closed for business. Some garden products, shop fittings, and fixtures available to purchase. Some garden maintenance and landscaping services will continue. For inquiries please contact us. Berri Native Plants is a native plant nursery located on the Old Sturt Highway, Berri, South Australia. At Berri Native Plants more difficult gardening problems are only seen as challenges! 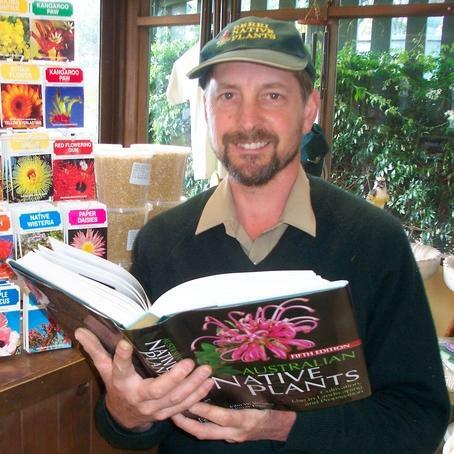 Andrew Walladge, M.A.I.H., has been in the gardening industry for around 30 years and has a well established reputation as an "Australian native plant guru". You’d think that extreme heat in summer, frost in winter, unreliable rainfall and water restrictions would hardly be a recipe for a beautiful successful garden. Andrew Walladge says don’t let any of that worry you too much. With a good planting regime and wise plant selection it is more than feasible to have a great, low maintenance garden which uses little or no water.